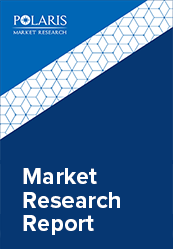 The worldwide geriatric medicines market was estimated at USD 613.97 billion in 2017 and is anticipated to gain significant traction over coming years. Geriatric medicines, also known as geriatrics is a specialty field which focuses on health care of the geriatric population. This area targets to improve the elderly people’s health by treating and preventing disabilities and diseases. In general, the geriatrics population is not capable to take their medicines precisely at the deliberate time due to composite psychological and medical issues. The geriatric population needs distinctive care and consideration for the swift recovery from disease or disorder. There is no set age at which patients may be under the care of a geriatrician or geriatric physician. The geriatric physician specifies in the care of geriatric people. The patient care proclamation is determined by the specific patient's needs, as well as the availability of a specialist. The global geriatric medicines market is majorly driven by the high presence of geriatric populations in many regions. According to the Industry Reports in United Nations 2012, the number of the geriatric population across the globe was approximately 809.4 million and is this anticipated to reach around 1.4 billion by 2030. Moreover, growing chronic conditions and the rising occurrence of chronic disorders such as cardiovascular disorder, rheumatoid arthritis and other bone-related problems, neurological disorders, and cancer cases amongst the geriatric population is another major factor boosting the growth of the geriatric medicines market. Additionally, a number of geriatric population reliant on polypharmacy are anticipated to develop side-effects due to the interactions of the diverse medicines. Which, in turn, has amplified the demand for geriatric care and thus bolstering the geriatric medicines market growth. The increasing incidences of medication-related disorders among geriatrics and the critical necessity for proper care are the determining factors fueling the market growth. However, the lack of awareness majorly in developing and low-income economies and side effects associated with the medicines are the factors anticipated to binder the market growth. The global Geriatric Medicines Market is segmented on the basis of therapeutic category, therapeutic condition, and geography. On the basis of therapeutic category, the global geriatric medicines market is segmented into Analgesics, Antihypertensive, Statins, Antidiabetics, Proton Pump Inhibitor, Anticoagulant, Antipsychotic, and Antidepressant. Pain as an indication is associated with old age and the middle age population unveils the high occurrence rate of pain related syndromes. Based on current trends and the demand for proper therapy, the market is anticipated to witness high growth for therapeutic conditions during the forecast period. On the basis of therapeutic conditions, the global geriatric medicines market is segmented into Cardiovascular, Arthritis, Neurological, Cancer, Osteoporosis, and Respiratory. In 2017, the cardiovascular disease is estimated to be the dominating segment primarily due to the high proliferation of several cardiac disorders such as coronary artery disease, stroke, and hypertension. In terms of geography, North America is estimated to dominate the global Geriatric Medicines Market. The existence of developed healthcare facilities, favorable reimbursement policies, and the easy availability of important as well as life-saving medicine has significantly enhanced the average life expectancy rates in North America. Moreover, the number of people that are over 65 to 70 years suffering several target ailments is increasing continually which is further anticipated to boost the geriatric medicines market during the forecast period. However, Asia-Pacific, on the other hand, is expected to dominate the global Geriatric Medicines Market during the forecast period. The major market share is primarily due to the substantial growth in the healthcare infrastructure, the launch of the number of branded and generic drugs, an increase in private and government healthcare spending, the increase in per head incomes, and growing number of geriatric population in countries such as Japan, China, and India. Major firms are focusing on small firms with a working methodology of securing the end goal to manage position in the market and are associated with mergers and acquisitions, key joint efforts, and novel item advancement to pick up profit share in the business. Some major key players in global Geriatric Medicines Market includes GlaxoSmithKline Plc, BoehringerIngelheim GmbH, Novartis AG, Bristol-Myers Squibb Company, Pfizer, Inc., Eli Lilly and Company, Abbott Laboratories Inc., AstraZeneca plc, Merck & Company Inc., and Sanofi S.A. among others.